The Velleman Hot Melt Glue Sticks package includes twelve small adhesive glue sticks. 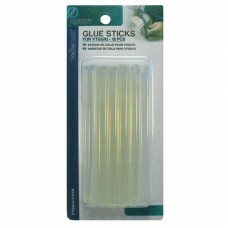 These glue sticks are intended for use with the Velleman Hot Melt Adhesive Glue Gun. Each glue stick measures 7 x 100mm.